A streak of sold-out Washington Redskins home games stretching back to 1967 is in danger of being broken during Sunday's home opener against the Indianapolis Colts. WASHINGTON — A streak of sold-out Washington Redskins’ home games stretching back to 1967 is in danger of being broken during Sunday’s home opener against the Indianapolis Colts. Three days before opening kickoff, once-priced-out Redskins fans still buy list-price tickets online, on the team’s website. The team’s online ticketing is through Ticketmaster. Thursday morning, thousands of unsold tickets were available. Seats at the 50-yard line could be had for $141 each. In June the team acknowledged its season-ticket waiting list, which once was 200,000, had evaporated. Single-game tickets for every home game are available online. Without a championship team, but with new business strategies, the team is experimenting with ways to promote the team. A Groupon promotion Thursday stated tickets were available for the entire season. 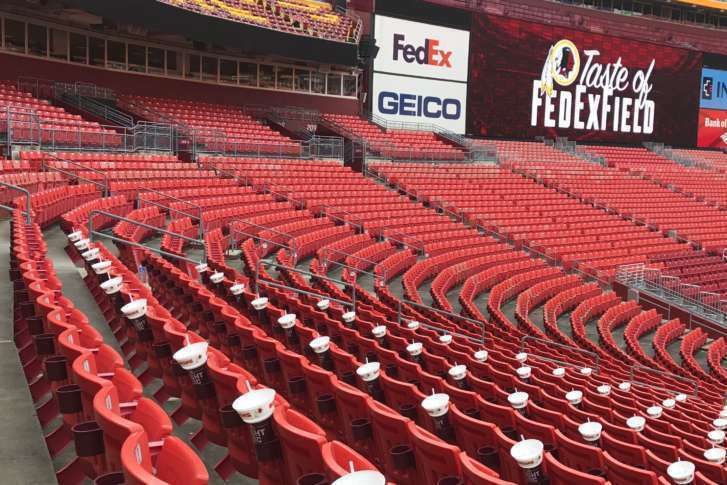 Despite empty seats, the team’s media guide states all 210 preseason, regular and postseason Redskins home games have been sold out since 1967, when the team played in D.C. Stadium, before being renamed for Robert F. Kennedy, in 1969.